Due to demand and scheduling conflicts at the venue, there will be a second chance to hear this talk on the third (3rd) December, 2:30pm, at Bexhill Museum. All welcome, £2 for members and £3 for non-members. Abstract: The First World War is surmised to have been a formative event for Canada. Conventional wisdom denotes that the war invoked what Philip Buckner has termed a ‘colony-to-nation framework’, whereby Canada entered the war as a Dominion of Britain and emerged a nation in its own right. This, however, is a contested viewpoint. It is also argued that, although important, the war did not significantly alter the sense of national identity in Canada. Using the location of Bexhill-on-Sea, East Sussex as a case study, this article will show that while there did appear to be a greater sense of attachment to Canada as a result of the war, this was not at the expense of an attachment to the Empire. There was, as Buckner has argued, scope for parallel identities. Nevertheless, despite this attachment, literature produced at Bexhill showed that the war had exacerbated divisions between English and French Canadians. My most recent article is now available in the Bexhillian Magazine. This article is slightly different to previous articles in that it uses the Canadians as a reference point to make a broader point about the value of historic buildings and their ability to give us an insight into the history of the town. The article can be viewed by clicking here. My most recent article in the Bexhillian Magazine focuses on Canadian sport in Bexhill during the First World War. My broader point is that sport is about more than just recreation. It serves many other purposes. The Canadians in Bexhill used sport to develop fighting spirit and cohesion among the soldiers. It was surmised that if one had confidence in his comrades on the sports field then he would also have confidence in them on the battlefield. This is a perspective that still has credence today from both a military and non-military standpoint. The article can be viewed by clicking here. 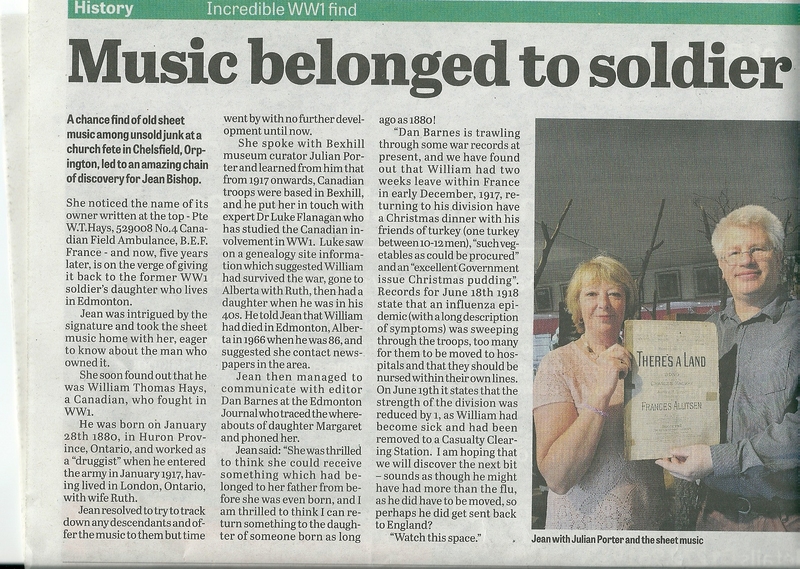 I was very glad to assist a local Bexhill resident in her quest to find descendants of a Canadian soldier who once owned a book of sheet music while stationed in Britain. A very good outcome which will hopefully prompt further interest in the Canadian presence in Britain during the conflict. 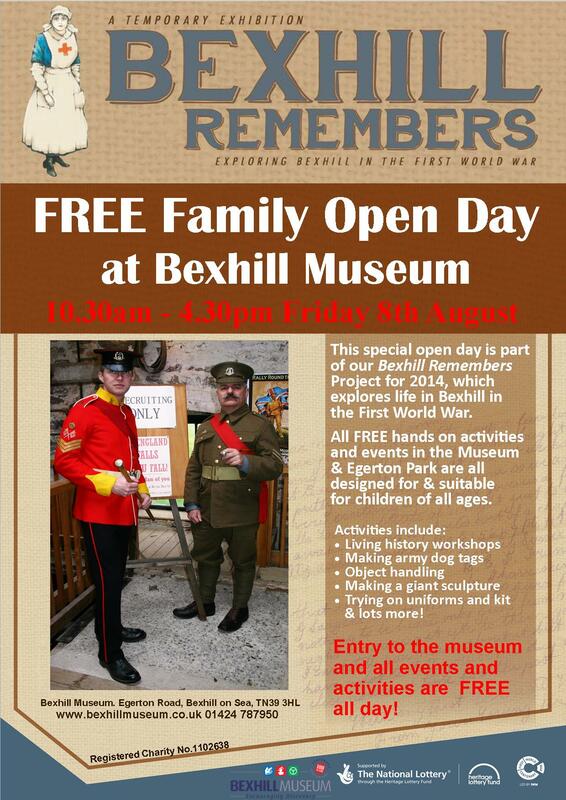 The attached article from the Bexhill Observer (15th August) details the story and my (brief) involvement. Nevertheless, my advice that any descendants would likely still be in Edmonton given its economic standing in Canada proved correct.